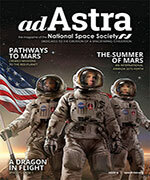 National Space Society members have voted to give Freeman Dyson the prestigious Robert A. Heinlein Memorial Award. This award honors the work he has done as a ground-breaking physicist and mathematician, and as a major thought leader in the science and space communities for over half a century. NSS invites the public to come meet, interact and learn from our awardees and attend their award ceremonies. 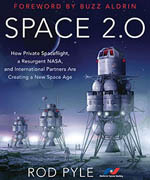 NSS will present Freeman with the Heinlein Award at their 37th annual International Space Development Conference® (ISDC)® to be held in Los Angeles, California, at the Sheraton Gateway Hotel at LAX. The Conference will run from May 24-27, 2018. The Heinlein award recognizes Dyson’s many years of work, both in science and in the public arena, advancing fundamental physics and math, and promoting and explaining the future role of humans in space which NSS hopes will lead to a free spacefaring civilization. This includes his position for many years as President of the Space Studies Institute, founded by space visionary Dr. Gerard K. O’Neill. Dyson was a leader of the early space age in the 1950s and 60s through his work with Project Orion, a revolutionary space propulsion concept. His numerous ideas and detailed technical work have contributed enormously to space transport, development and settlement. The vision of self-sustaining human settlements in space and on planetary surfaces as part of a free, spacefaring civilization, is at the very heart of the space movement. Dyson received a BA in mathematics from Trinity College, Cambridge after World War II. He had a post at the Institute for Advanced Study in Princeton from 1953 to 1994, where he still resides as a professor emeritus. He is best known for his numerous and significant contributions in the fields of physics and mathematics, including support for and practical use of Feynman Diagrams and creating a better understanding of quantum electrodynamics by unifying the three previously existing versions of that theory. He is also well known for his concept of the so-called “Dyson Sphere” in which an advanced civilization would build many structures around its star to capture most or all of its energy. This concept has been misinterpreted by many to incorrectly imply a solid sphere around a star. He is the author of many popular books on science and ethics including Disturbing the Universe, Imagined Worlds, and The Scientist as Rebel. His work has helped in understanding the space environment and even the very nature of space-time and matter itself. His life-long rationally-based poking at scientific sacred cows has helped to keep alive the spirit of open discussion within the scientific community. Few have made such rich contributions to these fields. 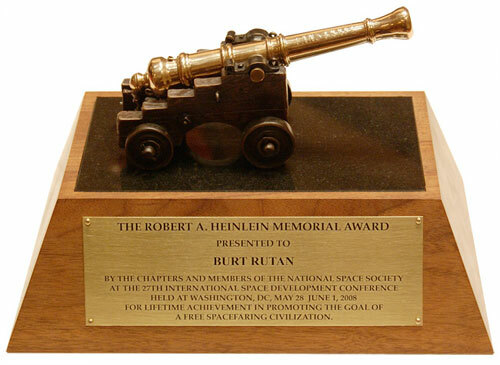 The Robert A. Heinlein Memorial Award honors those individuals who have made significant, lifetime contributions to the creation of a free spacefaring civilization. The Award is named after author Robert A. Heinlein, widely recognized as the dean of science fiction writers, in memory of him and of his many contributions to the pro-space movement. Heinlein served for about a decade as a director of the L5 Society, predecessor of NSS, and attended ISDC in 1983. NSS members vote to choose who will win this prestigious award which is given every two years. The award consists of a miniature brass naval cannon mounted on a solid mahogany base with a brass plaque and an inlay of Italian black granite. The barrel is inscribed with one of Heinlein’s favorite acronyms “TANSTAAFL” (There Ain’t No Such Thing As A Free Lunch). The award concept came from one of Heinlein’s classic novels, The Moon is a Harsh Mistress. The cannon represents defiance of conventional wisdom when necessary. In modern terms, this means being able to “think outside of the box.” Previous Heinlein Award Winners are Jerry Pournelle, Elon Musk, Dr. Stephen Hawking, Dr. Peter Diamandis, Burt Rutan, General Chuck Yeager, Capt. James Lovell, Robert Zubrin, Neil Armstrong, Carl Sagan, Dr. Buzz Aldrin, Dr. Robert H. Goddard, Gene Roddenberry, Dr. Wernher von Braun, Sir Arthur C. Clarke, and Dr. Gerard K. O’Neill.